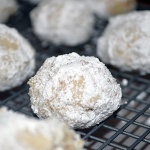 These Powdered Sugar Snowball Cookies (also known as Mexican Wedding Cookie - Polvorones) are melt in you mouth good! Combine shortening, powdered sugar and vanilla in an electric mixer. Beat on medimum speed until well blended. In another bowl, combine the flour, baking soda and salt. Add to creamed mixture and mix well. Mix in walnuts. Roll dough into 1" balls and place on a silpat or ungreased baking sheet about 1" apart. Bake for 15 minutes or until the edges begin to brown slightly. Cool on baking sheets enough to handle. 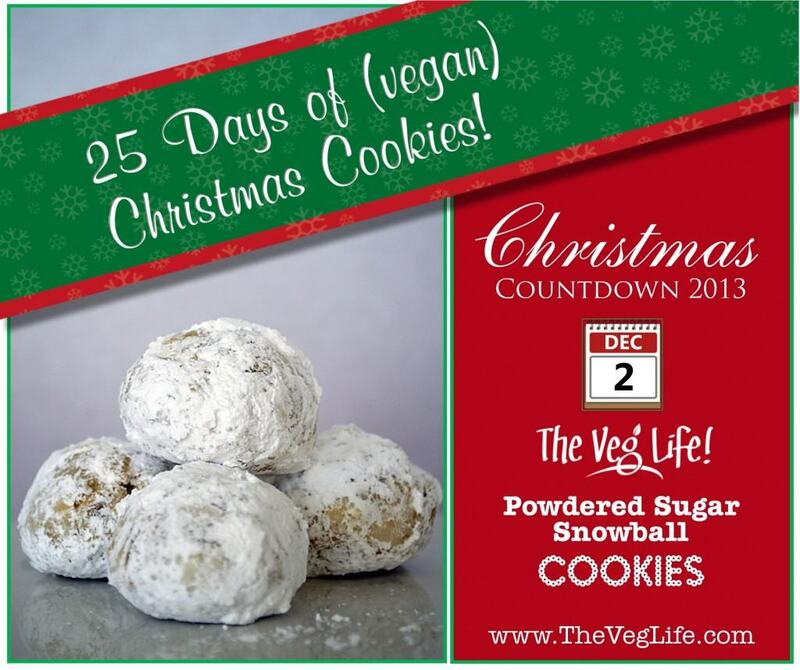 While still warm, roll in powdered sugar and place on cooling racks to cool completely, Roll again in powdered sugar. There is a mistake in the amount of powdered sugar in this recipe. I think it should be 1/2 cup instead of 2 cups. Please verify.